Can music stave off dementia? It’s your turn! Be creative! 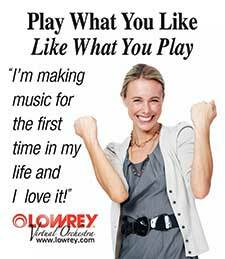 Play what you want to play! It’s surprising how many of our students talk about the ‘after effects’ of making music – feeling better, smiling more, feeling more accomplished, making new friends, helping others in their communities through music, feeling happier and more joyful… Imagine a group of family and friends getting together once or twice a week doing what they always dreamed of– making music! 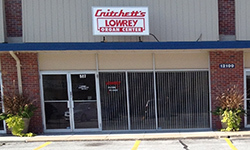 For many years, Critchett’s has been a leader in music education. Our reputation comes from our students who do get involved in our music program and have fun with it. It is one of the primary reasons for our success. When we say “have fun with it,” we speak inclusively to each of our students, We don’t want this to be a hard task for you to do. 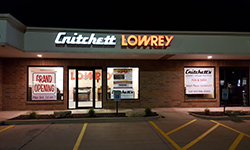 At Critchett’s we want you to enjoy your music. So “strut your stuff” let’s see how much fun you can have making music by playing what you like and liking what you play! 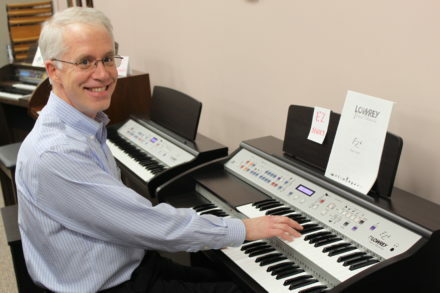 Learning an instrument can cause a sense of achievement, as the article “Benefits of Music Education” says that once you’ve mastered your first piece, the satisfaction you’ll feel is priceless…you’ll never forget the first piece you’ve mastered.” Anyone can attest to this with their first piano recital. If you recently have sat at a piano. you will soon learn that your first piece comes back in a flash and what a great sense of achievement it really was for you. Sure it can seem hard at first but there is no denying playing an keyboard is fun. Once you get better at it, opportunities will arise for you to share your newly learned skill with your family and friends. Now that’s cool! Research has shown that both listening to music and playing a musical instrument stimulate your brain and can increase your memory. “Therapeutic Uses of Music with Older Adults” by Alicia Ann Clair and Jenny Memmott, offers strategies for using music to: provide diversion for inactivity, discomfort, and daily routine; decrease symptoms of depression, anxiety insomnia, and agitation; handle problem behaviors; provide physical and emotional stimulation; help in the rehabilitation of people with cardiac disease, Parkinson’s disease, and impairments related to stroke; help in the management of pain; facilitate social integration; communication; and the expression of feelings, including anger and grief; and relieve the stress and tension associated with caring for older adults. Participation in music therapy has benefits in itself but can also help reestablish patients’ ongoing use of music as a health-promoting resource and coping strategy in their lives. 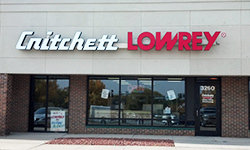 We are excited to announce the opening of our NEW Davenport Location! Our new classes in Davenport start up often! Please contact us to find out what day and time. We also have other locations in several other cities to serve you. 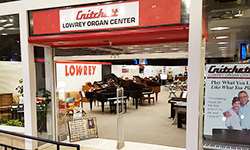 Find out what hundreds of senior adults already know… making music is EASY and FUN with Critchett’s Lowrey Organ Classes. Please call Lisa at (563) 888-5650 to reserve your spot or use the form to the right.